I got a Gamebridge off someone at work last week. If you haven’t heard of it, it’s a device that plugs into your consoles’ regular composite/S-video cables and transmits the signal to your PC via USB, letting you either play your consoles on your PC monitor (which it does terribly, by the way) or capture screenshots and video from your console games (something for which it is far better suited). It doesn’t seem to do component, but I don’t own a PS3 or Xbox 360, so I have no problems with that limitation. I hooked it up just now, and captured a sample video from King of Fighters XI. Not a dazzling show of my combo skills, but it does prove that the device works pretty well. Now I need to think of a way in which I can actually use this thing. I’ve got a few tentative ideas, but I need to figure out how feasible they are. 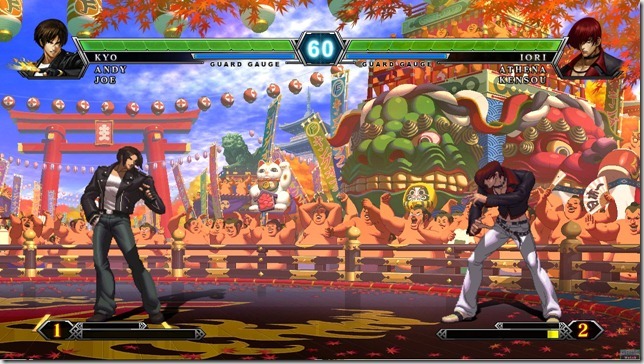 SNK Playmore recently released some information on the upcoming King of Fighters XII in Famitsu magazine. Having been impressed by the initial trailer for the game from AOU 2008 last month, I read the developer interview near the end. One thing in particular jumped out at me. –What kind of a matchup will KOFXII feature? SNKP: Rather than the multishift system from KOFXI, this game (KOFXII) will adopt the traditional 3-on-3 elimination style battle system that’s been used since KOF94. By returning to the traditional format and revising the game system that’s gotten too complex, we’re aiming for a game balance that’s playable even for beginners. Instead of complicated combos that makes full use of the game’s system, we want to put emphasis on “reading the opponent’s mind”. This has me more than a little irritated. 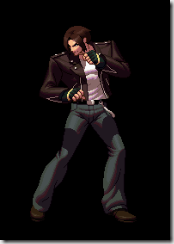 First off, I thought KOF XI’s tag system added a lot to the game. 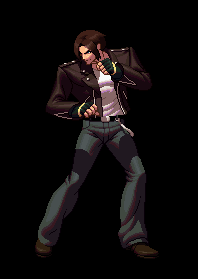 It was the first KOF game I had played in a long time that actually felt new and fresh without being bad, and I think the series was better for it. I was looking forward to seeing how the tag system evolved for the next instalment. And yet, they’ve gone and done away with it together, and gone back to the traditional 3 on 3 elimination format. 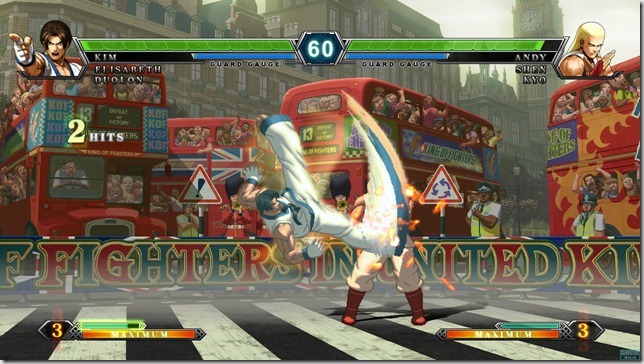 This is particularly infuriating when you consider that they’ve just released a remake of what is probably the most-loved classic KOF game (KOF’98 Ultimate Match), which you think would satisfy most people’s needs for classic 3-on-3 KOF. Do we really need another game that apes it? The graphical overhaul is stunning (if you don’t believe me, check out these direct-feed screenshots from Famitsu) but if it continues to keep alive the ghost of old games rather than try new things, I will be quite disappointed.